Nowadays, kettle is the basic equipment of every kitchen today, it can be found in every home. This is not only a first-need product in which we boil water for coffee or tea, it is also an important element of interior decoration. 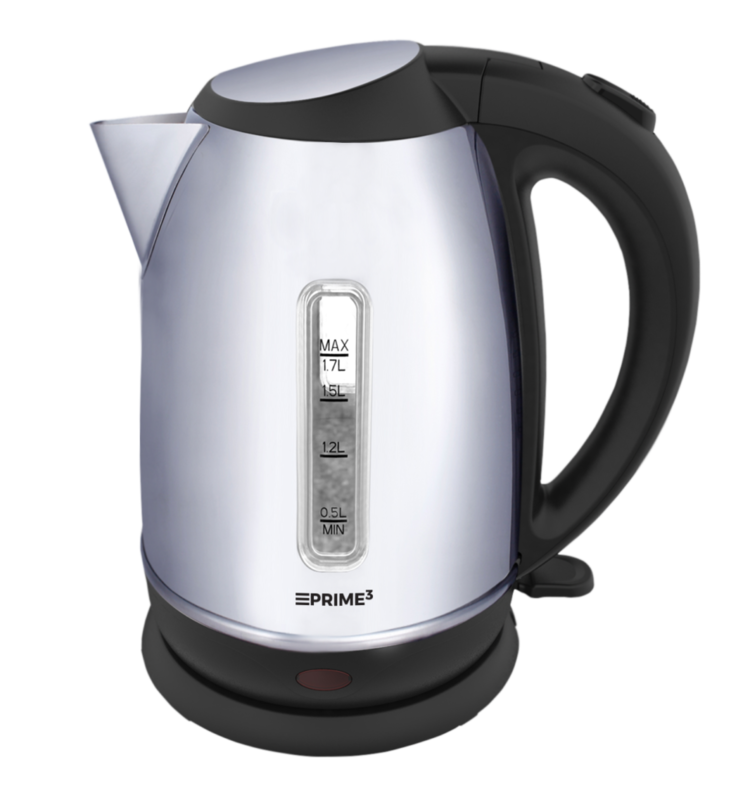 To meet the needs of users who expect higher and higher functionalities and aesthetics of kitchen appliances, PRIME 3 introduces the new SEK41 electric kettle with power of 2200 W and a capacity of 1.7 l (at least 0.5 l). It is a model in which we can boil water for tea for the whole family without any problems. A rotary base, an electric heater, hidden in a flat bottom made of stainless steel, a clearly visible water level indicator, and an automatic lid opening button make SEK41 very comfortable in everyday use. What’s more, the built-in lime scale filter ensures that the “sediment” does not get into our cup. We do not have to be afraid that the water will boil off and the kettle will burn because it has been equipped with an automatic shutdown system. Built-in protection against overheating, also guarantees the safety of its use. The body of the kettle, made of high quality stainless steel with elements of black plastic, perfectly presents itself and certainly fits well in both classic and modern kitchen interiors.